10 Вт⋅ч литий-ион., 2.500 mAh, 3,8 Volt, Автономная работа (сведения производителя): 27 час. Middle management. 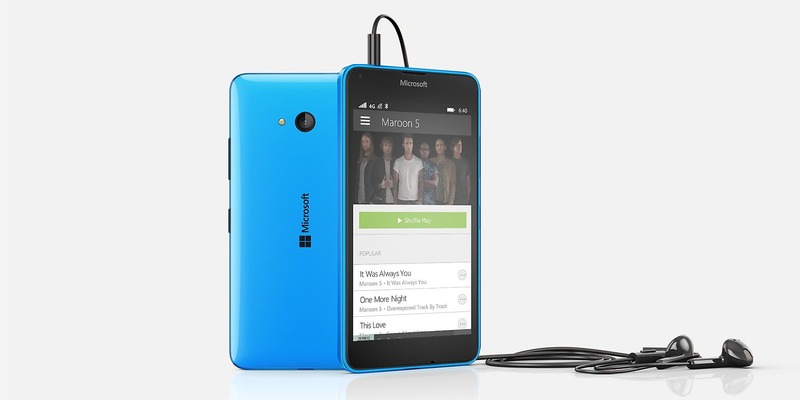 The Lumia 640 improves upon the predecessor in several areas. The middle-class smartphone features swappable covers and very decent software - but is that good enough to beat out the stiff competition? 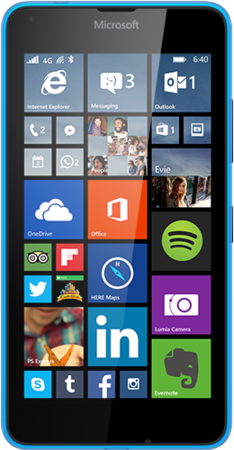 Overall, this is a very reasonable Windows Phone based smartphone at an acceptable price. The Microsoft Lumia 640 from Vodafone is a slim 4G 5 inch versatile smartphone which, being Windows Phone based, will also provide the compatibility with Microsoft Office applications that will be a boon to many serious users. Continuing to play “Catch-up” and join the major players of Android and Apple in the mobile phone arena, Microsoft has released the Lumia 640 as it first offering to appear without any reference to the Nokia name that was previously associated with the Lumia brand. While Android and iOS are the dominant force with regards to smartphones, they are not the only choice. Windows Phone 8.1, with a promised upgrade to Windows Phone 10, is a viable alternative. The value of this device is in its ability to provide calls, popular app access, and photos, all at reasonably fine quality for a rather low price. If you've never owned a smartphone before, this might be a great time to have a peek. If you've owned a Windows Phone device before and are planning on upgrading from a smaller display, this is also a perfectly fine place to go. At less than two hundred bucks and a guarantee for the "core features of Windows 10" as it becomes available later this year, this device is a fine choice. It's honestly impossible for me to form a single opinion of the Lumia 640. I'm thankful that we don't operate using some sort of rating system where I would have to. Smartphones are comprised of many parts, both hardware and software, and all these things come together and provide an experience. Because smartphones are so appliance like, there's really no way to separate a device's hardware from its software. By that metric, you may find yourself quite willing to put up with any quirks that the Lumia 640 offers. I will argue stridently that you’ll enjoy the Lumia 830 more. But in the midrange phone space, price can be a major sticking point. In that regard, Microsoft’s staunchly midrange Lumia 640 may be the right phone for you. The Lumia 640 has all of the features you would expect from a smartphone that’s twice the price. It’s got 1Gb RAM, a decent 8 megapixel camera, front-facing camera for video calls, a high resolution screen with practically print quality pixel density, the processor is fast, and it even has a (somewhat limited) version of the excellent Glance Mode. It’s certainly a step up from the Lumia 630 and 635 as well as the 5XX series, and it has a few things that put it ahead of the similarly-priced BLU Win HD LTE. Overall, for the price, the Lumia 640 is a pretty nice deal. In that regard, the Lumia 640 is a strong performer, especially if we’re to factor in its $130 cost as a prepaid option courtesy of Cricket Wireless. No doubt, the design is unmistakably Lumia in every facet, but more important is that it carries all the same tools and features we get in other Lumia branded smartphones. This phone isn’t for everybody, naturally, but for those who have been disappointed by comparable entry-level Android phones, this is surely a smart option to think about from the Windows Phone camp. It’s cheap, but not cheap-cheap in the way that the experience is dramatically compromised. The Microsoft Lumia 640 is a decent attempt by the company, but it falters in the face of stiff competition from more affordable Android counterparts. An inferior hardware package combined with an underdeveloped app ecosystem make this phone just another option for the budget buyer. Maybe the upcoming Windows 10 update will bring some new life to the Lumia range but till then the Lumia 640 is only meant for Windows Phone loyalists. Another reason I’ve been less forgiving with the Lumia 640 is because of its price point. At $200-250 (depending on the market) unlocked and outright, the Lumia 640 tends to be slightly expensive than the 2014 Motorola Moto G, which is as a competing entry-level smartphone is better across the board. 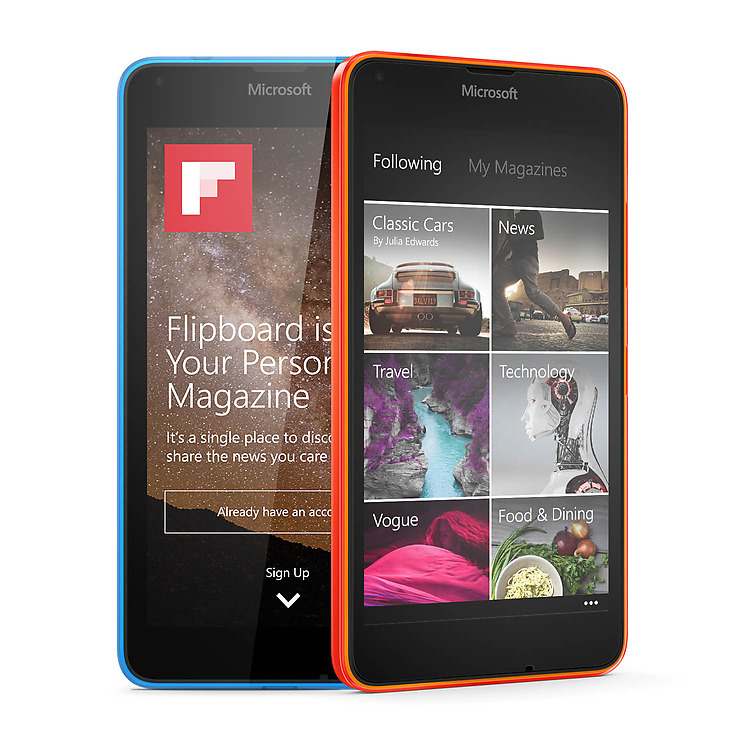 Had the Lumia 640 offered a better value, it would be worth considering. Unfortunately it is not, which makes it hard to recommend. Microsoft Lumia 640 LTE ticks all the right boxes making it an easy to recommend pickup. There is a mid-sized IPS 720p display enhanced with ClearBlack, the Snapdragon 400 chip handles Windows hassle-free, the 8MP camera turned out way above average and there are various connectivity and color options. Just like the XL model, you can get the Lumia 640 in a single-SIM LTE flavor, dual SIM 3G or dual SIM LTE. It seems Microsoft thought a single-SIM 3G model is unnecessary for the smaller Lumia 640, probably because of the insignificant price difference, and we agree. The Microsoft Lumia 640 is a worthy upgrade over the Lumia 630, and this Windows Phone now presents very good value for money. This is the Moto G of the Windows world, with a near-identical spec and a £20 lower price tag. Which phone you choose will come down to your software preferences - many users will be happy with Windows Phone, but if third-party apps feature heavily on your wishlist you may find that extra £20 for the Moto G money well spent. The Lumia 535 may have been a big disappointment, but the Microsoft Lumia 640 certainly paves a much brighter future for Windows phones going forward. With a great-looking screen, snappy performance, decent battery life and loads of extra features, it's clearly punching above its weight for an entry-level handset, and it's a more than a worthy upgrade for existing Lumia 630 owners. What's more, the 4G version is just £120 SIM-free, with contracts starting around £16.99 a month for 500MB of data, 500 minutes and unlimited texts. The larger Lumia 640 XL may have more stamina over the course of a day, but the smaller, Lumia 640 is our new budget Windows phone of choice. The Lumia 640 is one of the most capable affordable phones currently available, which is why we gave it a TrustedReviews award at this year’s Mobile World Congress. Its specs alone make it a good choice, but Microsoft has gone a step further by offering a free year’s subscription to Office 365 Personal. The added extras of having Microsoft Office tools, a terabyte of cloud storage and free Skype calls makes the Lumia 640 significantly more compelling. Offering a solid design, decent display and confirmed to receive an update to Windows 10, the Lumia 640 is one of the best affordable smartphones available to businesses using Microsoft services. If you’re on the hunt for a budget phone and you know you don’t like Android, Microsoft’s latest Lumia 640 is a safe bet to go with, offering plenty for your cash. Windows Phone is getting better and better, and Windows 10 is coming soon too. It’s just that the Moto G 4G offers much better value if you’re not specifically looking for a Windows Phone. Microsoft’s Lumia 640 offers seriously great value for money, packing HD visuals, excellent optics and a satisfying user experience for around £150 (or £100 if you opt for the non-4G model), making it a solid rival to the Moto G. If you’re after an affordable but still highly competent handset, this could be your best portable pal. A rough comparison with the Moto E LTE – a phone that hits that magic £99 price point – reveals the Lumia has better cameras, better battery life and basic operations are faster. Also, I didn’t experience random lags as we did on the Moto E and the latest Moto G 4G. If you don’t have a problem putting 5-inches in your pocket, it’s an outstanding proposition. Microsoft is setting off on the right foot with its first major phone releases. The prices look good and the hardware even better at the price, especially once you factor in the inclusion of that Office 365 subscription. Microsoft is planning to release both phones in April. We’ll post our full review once we’ve got our hands on a review sample and had the chance to test the phones more thoroughly. 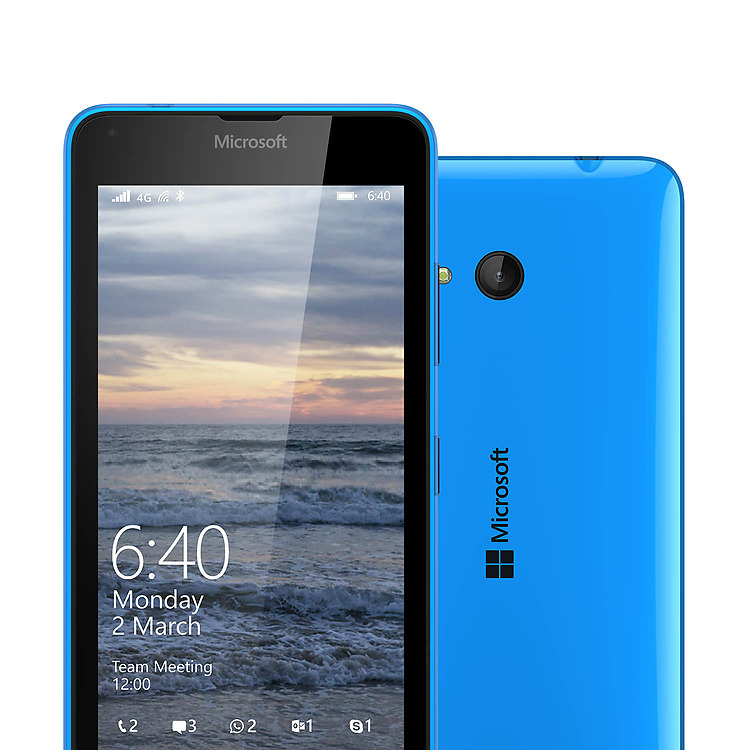 The new Microsoft Lumia 640 and XL are nice looking smartphones and they will be relatively cheap. An upgrade to Windows 10 is also a positive if you're a fan of the platform. However, there's little to get excited about here in terms of specs. These are just yet more Lumias joining the already crowded range. The two devices have very similar spec sheets. The key areas in which they differ are their screens, batteries and cameras. Both are powered by the quad-core 1.2GHz Qualcomm Snapdragon 400 SoC, which has been a favourite of low-cost manufacturers for a while now, but is getting on a bit in age. Both phones have 1GB of RAM, 8GB of storage space and support for MicroSD cards of up to 128GB capacity. Wi-Fi b/g/n, Bluetooth 4.0, GLONASS and FM radio are also common. 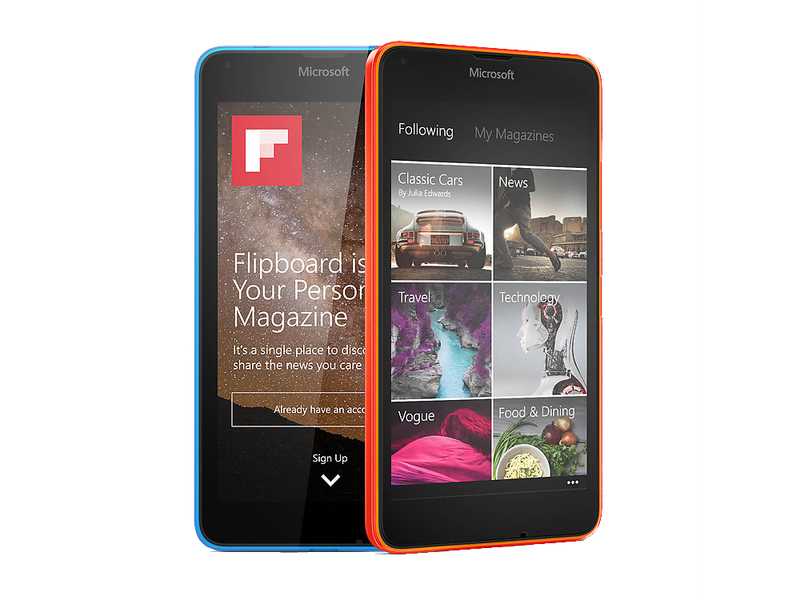 The Lumia 640 will be available come April in glossy white, orange, cyan, and matte for the black. It will be retailing for €139 (about £100) for the 3G version, and €159 (£115) for the LTE one. Perfectly affordable if you ask us. Could be a good time to jump on the Windows 10 bandwagon. However, from what we've seen so far, the Lumia 640 is clearly punching above its weight, delivering a fantastic looking screen and quick internals for a rock bottom price. If it can match the Lumia 735 or Lumia 830 in terms of battery life, screen quality and processing power, we'll be very impressed indeed. The Microsoft Lumia 640 is more compact of the two with a 5" 720p screen and is will take on the Moto G (2015) at a Moto E (2015) price. The one we handled had a glossy polycarbonate body and one of the brightest orange colors we've seen in person. These high-visibility colors are classic Lumia, Stephen Elop had the Cyan version in his hands, but there are also the more muted Black and White colors. 400 MSM8226: Четырехъядерный чип Cortex A7 с видеоадаптером Adreno 305.